However, the justices refuse to make a sweeping decision that would cover other self-replicating technologies like DNA molecules and nanotechnologies. WASHINGTON — The Supreme Court said Monday that an Indiana farmer violated Monsanto Co.’s patents on soybean seeds resistant to its weed-killer by growing the beans without buying new seeds from the corporation. The justices unanimously rejected the farmer’s argument that cheap soybeans he bought from a grain elevator are not covered by the Monsanto patents, even though most of them also were genetically modified to resist the company’s Roundup herbicide. In a statement, Monsanto officials said they were pleased with the court’s ruling. In the case decided by the court, farmer Vernon Hugh Bowman bought expensive, patented Monsanto’s “Roundup Ready” seeds for his main crop of soybeans, but decided to look for something cheaper for a risky, late-season soybean planting. He went to a grain elevator that held soybeans it typically sells for feed, milling and other uses, but not as seed. Bowman reasoned that most of those soybeans also would be resistant to weed killers, as they initially came from herbicide-resistant seeds too. He was right, and he bought soybeans from the grain elevator and planted them over eight years. In 2007, Monsanto sued and won an $84,456 judgment. Monsanto has a policy to protect its investment in seed development that prohibits farmers from saving or reusing the seeds once the crop is grown. Farmers must buy new seeds every year. More than 90 percent of American soybean farms use Monsanto’s seeds, which first came on the market in 1996. Bowman’s lawyers argued that Monsanto’s patent rights stopped with the sale of the first crop of beans instead of extending to each new crop soybean farmers grow that has the gene modification that allows it to withstand the application of weed-killer. Bowman also said he should not be liable, in part, because soybeans naturally sprout when planted. Kagan said the court also did not buy that argument. “We think the blame-the-bean defense tough to credit,” she said. But a soybean growers’ association said it was the correct decision. 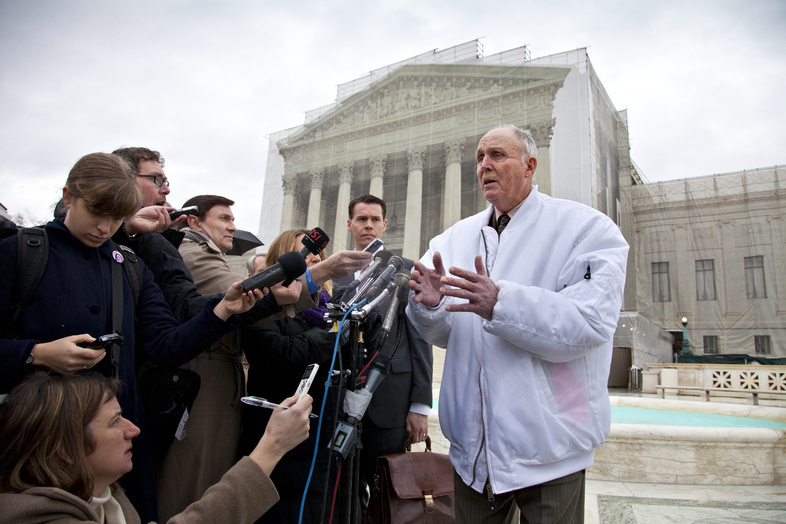 “The Supreme Court has ensured that America’s soybean farmers, of which Mr. Bowman is one, can continue to rely on the technological innovation that has pushed American agriculture to the forefront of the effort to feed a global population projected to pass 9 billion by 2050,” said Danny Murphy, president of the American Soybean Association. Calls to Bowman by The Associated Press were unanswered. • Justices said unanimously that use of the bankruptcy term “defalcation” requires an intentional wrong. This came in a case where an Illinois man took improper loans from his father’s trust, the first at his father’s direction. • They also unanimously said that federal law does not pre-empt a state law claim against a New Hampshire towing company that towed, stored and then disposed of a car owned by a man who was seriously ill in a hospital. The soybean case is Bowman v. Monsanto Co., 11-796.